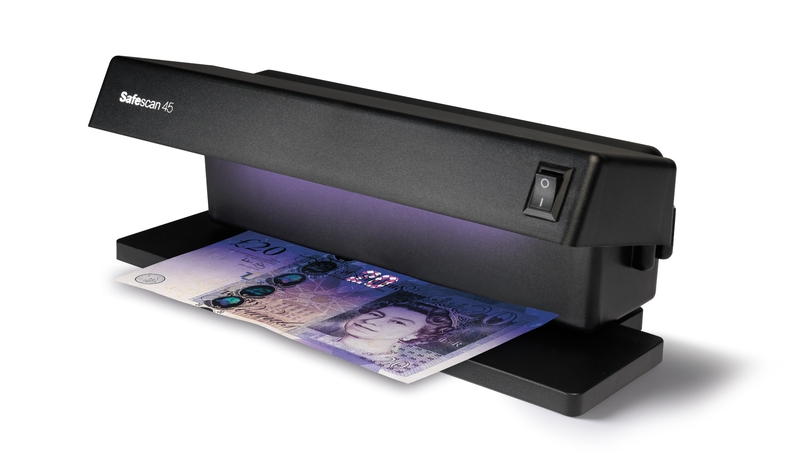 Every modern banknote has integrated UV security features that only show up under ultraviolet light at a certain frequency. 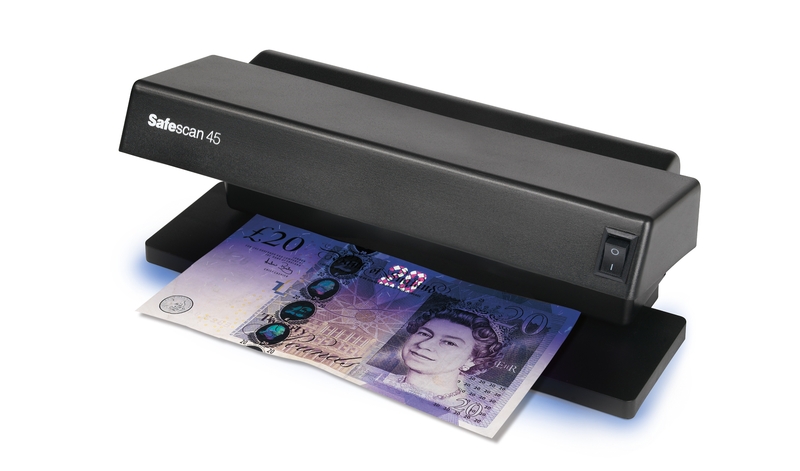 The Safescan 45 is designed specifically to help you verify these features and identify potentially counterfeit banknotes. 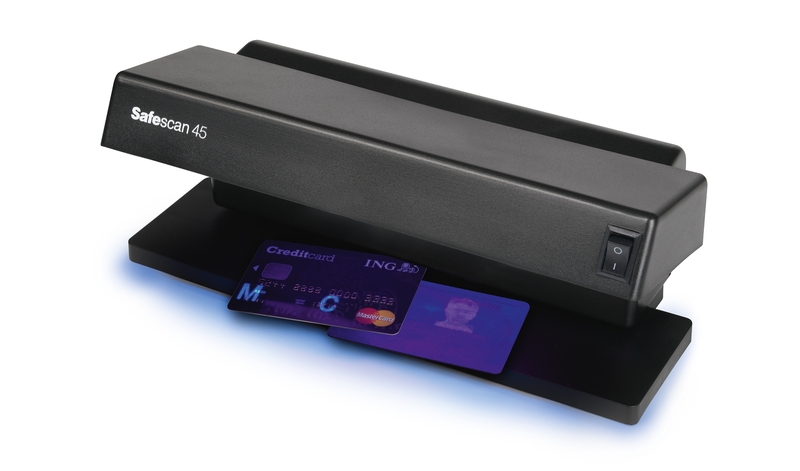 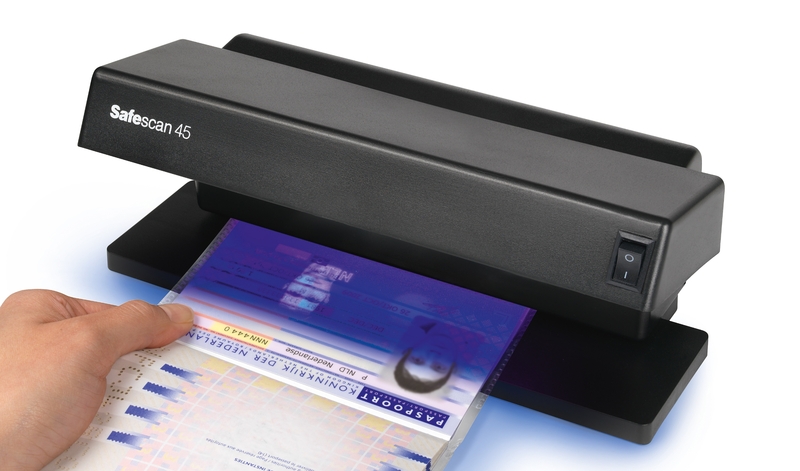 The Safescan 45 not only reveals the integrated UV security features in modern banknotes; it also instantly illuminates the UV security features built into today’s credit cards, passports and other ID documents, as well as UV ink applied to protect valuable items from theft or confirm event admission. 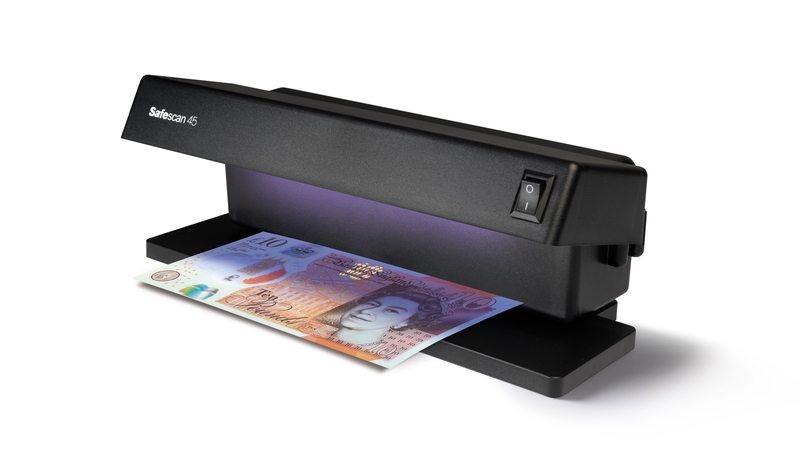 Dual UV bulbs project twice the light onto your banknote or ID card, making it easier to see its UV features under normal lighting conditions.